We did it! 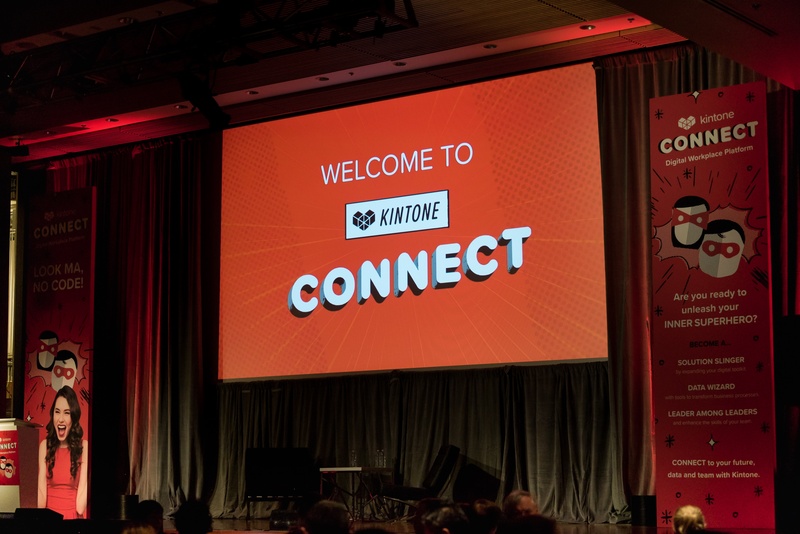 The first ever Kintone Connect conference was officially a success. 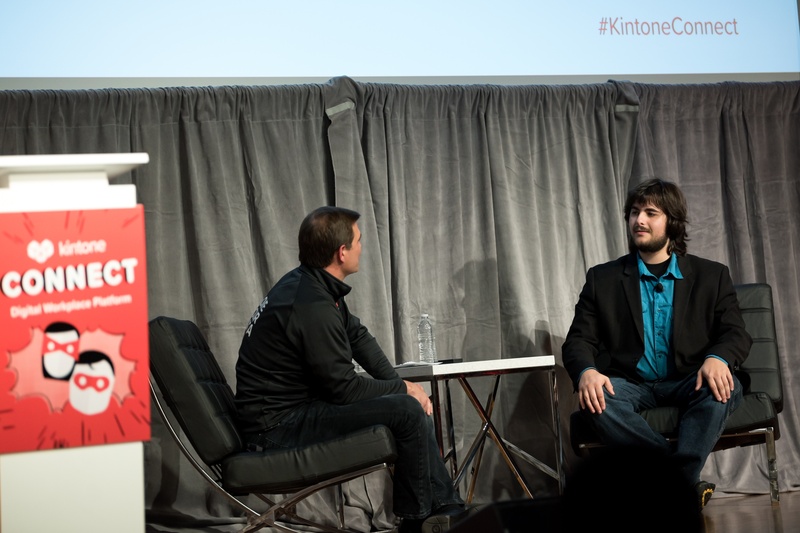 Team leaders, operations managers, IT professionals and entrepreneurs from all over the world traveled to San Francisco to meet, mingle, and discuss the benefits — and future — of Kintone’s collaborative, low-code platform. But this wasn’t the sole purpose of the event. 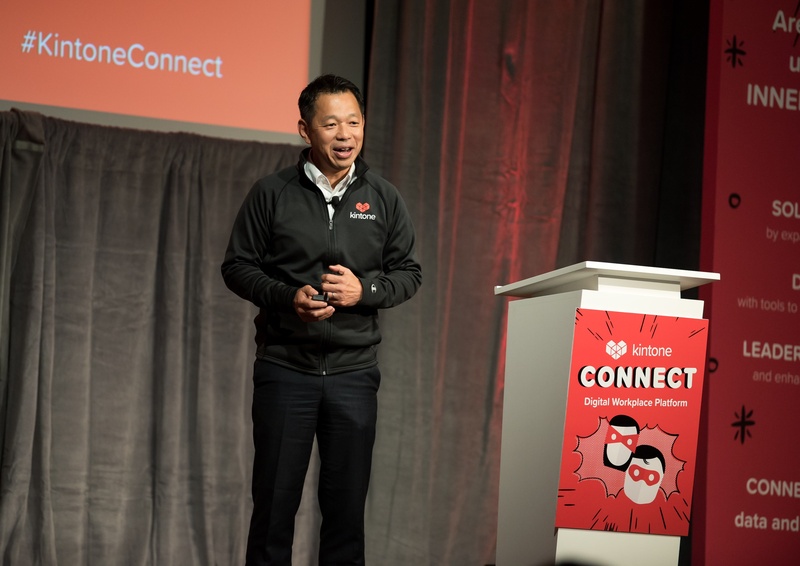 Kintone Connect was about looking out into the horizon of digital transformation, unlocking the secrets of the low-code/no-code revolution, and the power of authentic leadership in the workplace just as much as it was a celebration of Kintone’s rapidly growing company. “Do you enjoy work every day?” Osamu Yamada, Vice President of Kintone’s parent company Cybozu, asked during his keynote speech in the morning. This turned out to be the overarching theme of the event, one that each presenter went on to reiterate throughout the day. Contrary to popular belief, the low-code/no-code does not mean putting developers out of work. Rather, it’s about taking the grunt work off their plate so they can focus on more mission critical tasks and innovation of the business rather than spending precious time building and maintaining database apps that could be created in minutes with a platform like Kintone. Jason Bloomberg, President of Intellyx and author of The Agile Architecture Revolution, emphasized this point above all else during his presentation “Making Sense of the Low-Code, No-Code Revolution.” It also allows business users to leverage tooling environments for a range of apps which they can now make on their own, whenever they want to, in a shorter amount of time. No handing it off to the DevOps team, which is a win-win for the whole organization. Another talking point of Bloomberg’s was that low-code/no-node abstracts and supports governance and security by “shifting it to the left” — i.e. placing it earlier in the life cycle. This allocates the responsibility of planning implementation and execution of these two key aspects into the initial planning stages so it’s not added in as an afterthought, eliminating stress and other hassles. 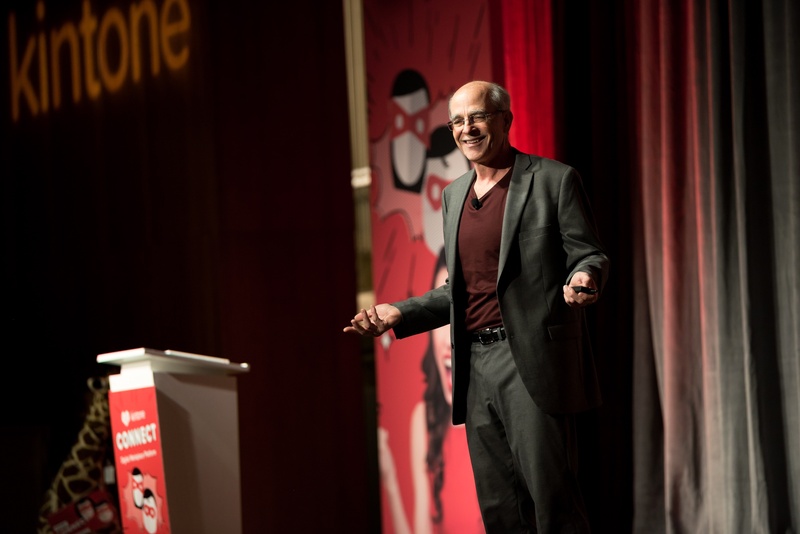 In his presentation “Rehumanizing Business by Giving Everyone Their Brain Back,” Chuck Blakemantold us that we should take things back to the way they were in the pre-Industrial Age when people had jobs and where “workplaces had souls.” After the Industrial Revolution, people were treated as extensions of a machine and have been ever since. This is largely why only 32 percent of all employees are engaged in the workplace these days. Nowadays, Chuck spoke how people have to leave their real selves in their car in the parking lot outside. According to Blakemen, these are our best selves — albeit creative and messy — because they’re our authentic selves. If all companies treated their employees as stakeholders, their managers as leaders and changed to a results-focused perspective to re-humanize the workplace (i.e. eliminate inauthenticity), their productivity would improve drastically because people would care more about what they’re doing. Blakeman also wanted the audience to know that the stripping of those who work for your company the right to ask the question “why?” is “dehumanizing.” If they aren’t given the right to be a human and are treated without respect, they won’t feel motivated when it comes to carrying out day-to-day job duties and will soon be looking for a position somewhere else — no matter how much you pay them. 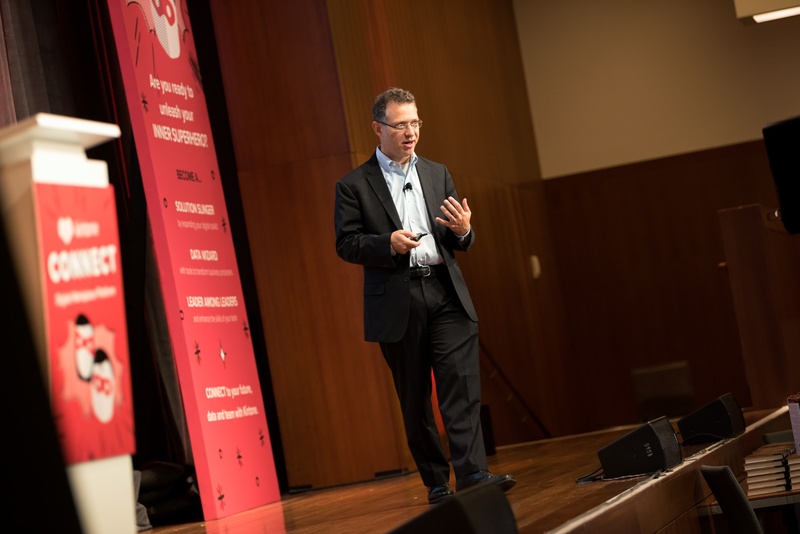 During his presentation “Driving Digital: Key Practices to Lead a Smarter and Faster Transformation,”Isaac Sacolick said that citizen development continues to play a pivotal role in digital transformation. Why? Because it encourages faster collaboration by utilizing apps instead of e-mail or paper, tools instead of spreadsheets, and a standardized user experience that’s easy for everyone to get on board with. Kicking off citizen data science programs in your company is important to breed wide-scale innovation. 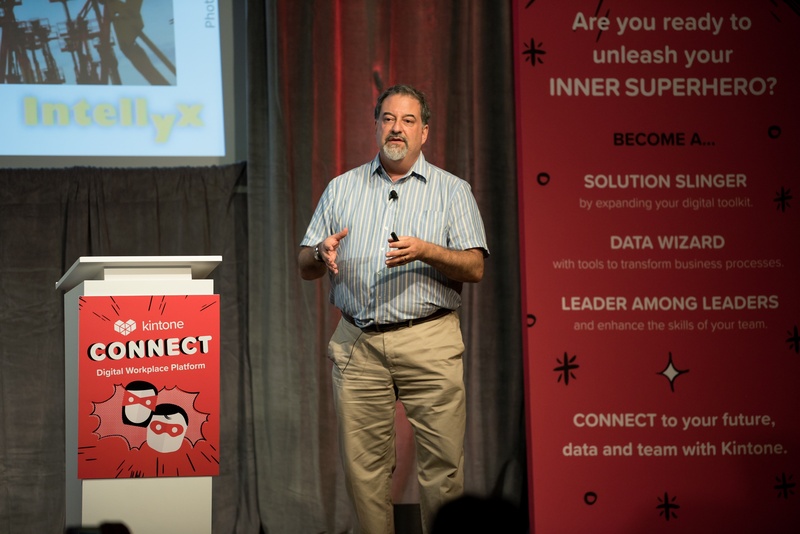 According to Gadgeteer founder Tim Edingfield, databases for nonprofits usually cost around the thousands range to make. But with Kintone’s platform? The cost is fraction of the cost at $300 annually. In Edingfield’s opinion, this is worth every penny since it provides nonprofits with a powerful tool that can track vital information — such as volunteer hours and financial records — needed to apply for grants without relying on a convoluted trail of spreadsheet documents. This goes a long way to save nonprofits in the long run. Edingfield also added that nonprofits can make agreements with one another to share the annual cost to subscribe to Kintone’s platform, which further reduces the cost of operation and helps them allocate money where they really need it. 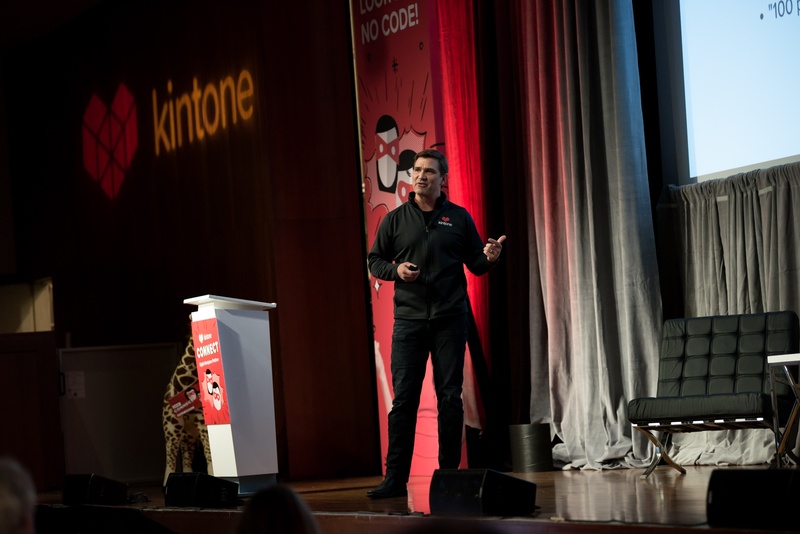 Kintone CEO Dave Landa gave Connect attendees an overview of what’s ahead for Kintone, along with the company’s journey so far. Currently, Kintone hosts over 7,500 client organizations on their platform with 100 more joining every month. There are 340,000 custom applications being built and deployed, with 800+ launched daily. This level of participation from our users is one of the big reasons why Kintone Connect was a big success and why we’re looking forward to next year’s event!